Jeffrey Johnson, 34, told Hyndburn magistrates that he had been digging close to a badger sett in Altham because his terrier had got trapped after chasing a rabbit down a hole. He denied having any interest in badgers but was convicted after a trial. Johnson, of Forfar Street, Burnley, was fined £270 and told to pay £265 costs. John Wood, prosecuting, said Johnson was seen stood in a three foot deep hole with a spade in his hand by badger enthusiast Stephen Broadbent, who was carrying out one of his regular checks on the sett. Mr Broadbent, a member of the Lancashire Badger Group and the Badger Trust, said there was a highly excited Jack Russell type terrier above ground and running around the site. He told the court how he challenged Johnson and another man as to what they were doing and Johnson said something about digging for a fox. He said they then ran off before the police arrived. Johnson, a part-time window cleaner and father of three, told the court he was walking his dogs, the terrier and a lurcher, in the area and they had been chasing rabbits. He said the dogs ran off and he found the lurcher near the entrance to what he now knew to be the badger sett. Johnson could hear his dog crying underground and when it did not respond to his calls decided to go home for a spade so he could try and dig it out. He said he blocked the entrance to the sett so the dog would not get out and run away in his absence. Johnson said he came back with a friend and while he was digging the dog emerged from the sett and his friend caught it. 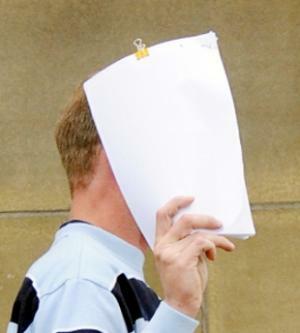 He claimed Mr Broadbent swore at him and his friend and chased them away. He said he had not wanted a confrontation and decided to walk back to Burnley along the canal.